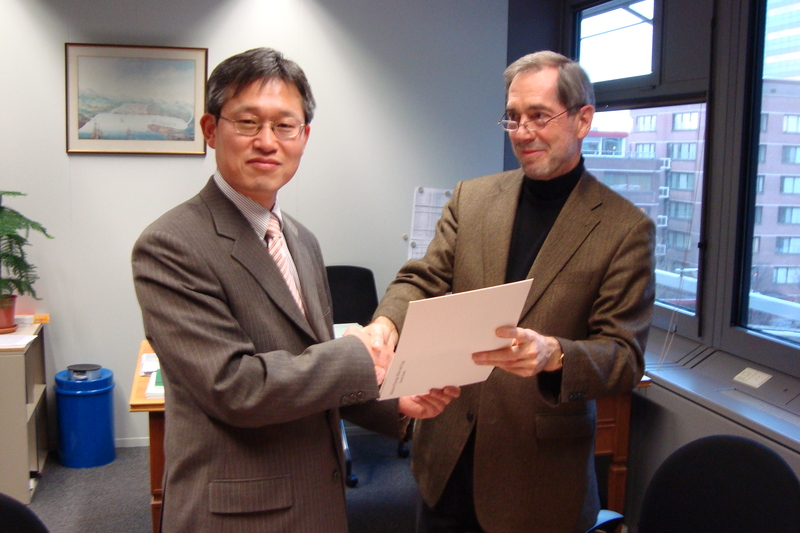 On Thursday, 13 December 2012, the Republic of Korea deposited its instrument of accession to the Hague Convention of 25 October 1980 on the Civil Aspects of International Child Abduction. The deposit was followed by the designation of a Central Authority under this Convention. The ceremony was attended by Mr Park Chull-joo, Minister-Counsellor, and Ms Sejin Lee, Legal Officer and Second Secretary, from the Embassy and Permanent Mission of the Republic of Korea in the Hague, as well as by Mr Damoiseaux, Head of the Treaties Division and Mr Van Eijndhoven, Head of Publication Section from the Ministry of Foreign Affairs of the Netherlands. Ms Louise Ellen Teitz, First Secretary, represented the Hague Conference on Private International Law. The 1980 Child Abduction Convention will enter into force for the Republic of Korea on 1 March 2013. The Republic of Korea is the 89th Contracting State to the Convention.